If you haven't done your taxes yet - and April 15th is fast approaching - there is likely to be Bad News for faculty and other professionals. The federal tax code now caps the deduction for state and local taxes (state income tax, property tax, etc.) at $10,000. 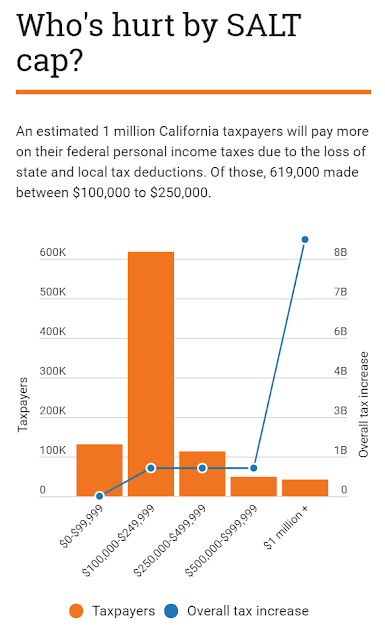 The estimates above from the Franchise Tax Board show the impact. You won't even have the convenience of not keeping track of your various deductions since the state income tax does not conform to the new federal rules.